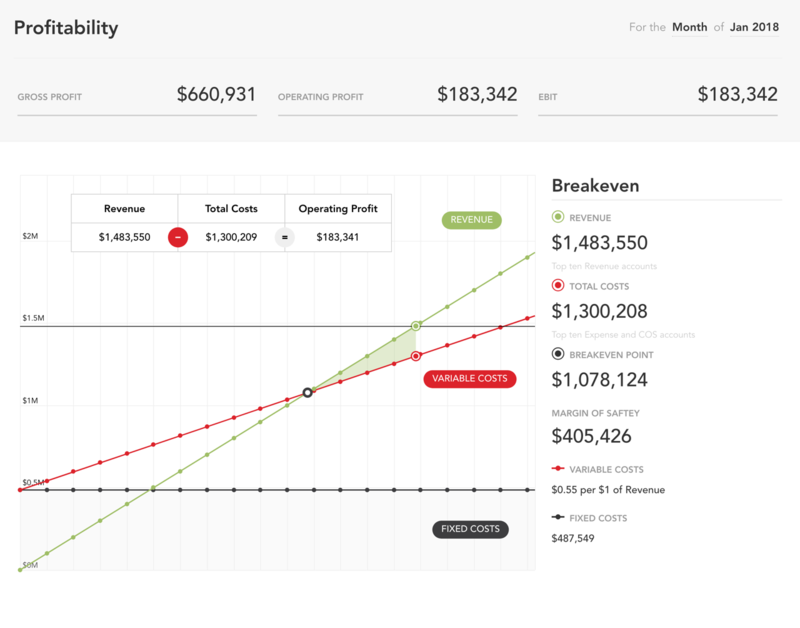 This tool is designed to evaluate a company’s ability to generate profits. It also serves to visualise a company's breakeven point and the margin of safety between current revenue levels and the breakeven point. Three key profitability margins are displayed at the top of the tool: Gross profit, Operating profit, and Earnings before Interest and Tax (EBIT). Additional detail is available by clicking on these key numbers. The Breakeven point represents the revenue level at which the business neither makes a profit nor takes a loss. In other words, if the company were to make one more dollar, it would profit, but if it made one less, it would incur a loss. The Breakeven Margin of Safety represents the margin between the actual sales level and the breakeven point. In other words, it is the amount by which sales can drop before losses begin to be incurred. The higher the margin of safety, the lower the risk of incurring losses. 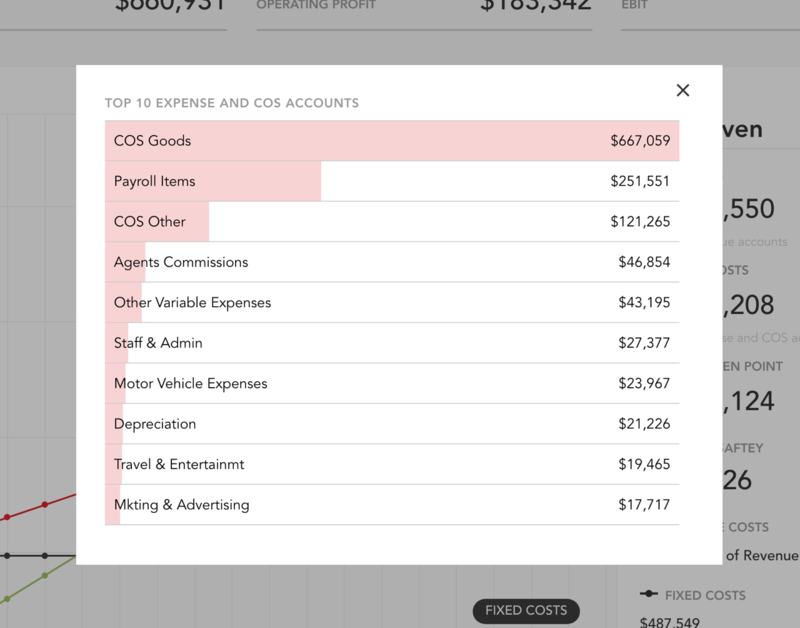 Underneath the total Revenue and total Costs key numbers, you can select to view the top ten Revenue and Cost accounts in descending order to see which accounts are generating the most income, and how the business and managing its major expenses and costs of sales. At the top of the tool, you can choose to view results for any month, quarter or year. You can also view results for quarter-to-date (QTD) or year-to-date (YTD) periods, and select the ending month for these periods.